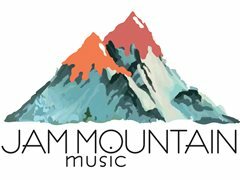 Jam Mountain Music is an Independent Record Label and Publishing House based in Australia, with affiliates in England and Denmark. We are searching for a superstar vocalist to sing and front our upcoming single release. The successful applicant will be Male, 23- 33, based in Australia and be available for both Studio Work and Live performance in an ongoing capacity, should the specified release be successful. Video Auditions: Please sing part of a song familiar to you accompanied/or unaccompanied and tell us a bit about yourself. Video files must be compressed and no more than 4 minutes long. Applicant/s will be shortlisted and notified directly if successful in making it to the next stage of auditions. This stage will involve the chosen artists being presented with the pre-produced single two weeks prior (with a guide vocal) to perform in person, in Melbourne or Sydney where hopefully we will find our man! From there - the studio to record the Vocal, finalise production with one of Australia's Top Producers and our Grammy Award Winning masterer and shoot the Video in preparation for release. Interested?! Send Us a Video. Stage 2: Artists will be provided a mp3 version of the song on 8/4/19 with in person auditions to take place late April 2019. Stage 3: Contract Provision for artist, Studio Recording, Mastering, Video Production. We are specifically looking for a flamboyant, fabulous and gutsy pop singer who can command a crowd, and has experience in stage performance.